Applewood Hills Golf Course is located within an apple orchard just west of historic Stillwater, Minnesota and a quick drive east of St. Paul. The fragrant smells of our gardens and blossoming apple trees make trips to Applewood an experience. Applewood is a meticulously maintained public, daily fee golf course (18 hole, par-62) providing a great challenge to every level of golfer. Applewood is an ideal course for all golfers - beginners to expert. The shorter layout is fun for families and group golf outings. 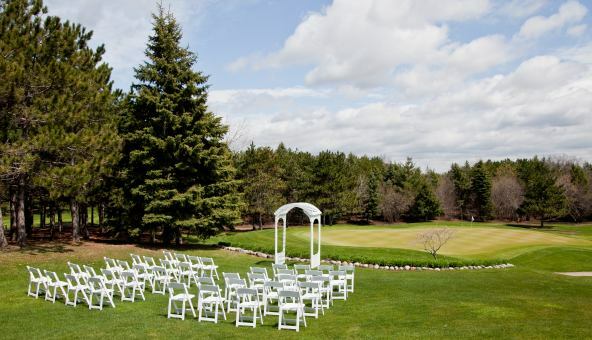 With beautiful gardens and a golf course carved from an apple orchard, Applewood is fantastic wedding venue. Our clubhouse accommodates up to 200 guests and overlooks the tree-lined finishing holes of Applewood. The clubhouse offers views of the golf course while keeping your party private. This is a perfect location for those looking for an intimate feeling in a spacious setting.